Infrequently Asked Questions: What are the origins of the Philly rowhome? The historic Thomas Eakins house on the 1700 block of Mt. Vernon Street is now the headquarters of the City of Philadelphia Mural Arts Program. 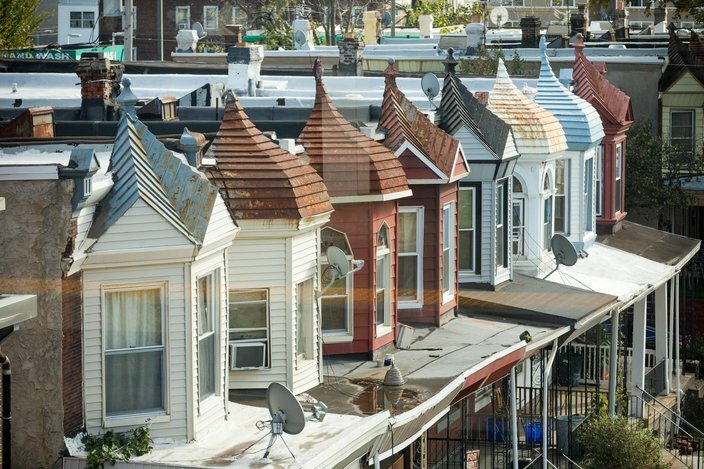 Since houses were first pitched up as part of the original Philadelphia blueprint, the Philly rowhome has endured as a staple of the city -- as much a character-definer for Philadelphia as the cheesesteak or the Rocky Steps. So, how'd they come to be, anyway? Here, Rachel Schade, associate teaching professor at Drexel University's Westphal College and program director of the school's architecture department, explains. What are the origins of the Philadelphia rowhome -- why was it designed to be so narrow? All discussions about the origins of Philadelphia architecture start with William Penn's plan for a "Greene Countrie Towne," where each resident would purchase a package of properties: a one-acre parcel in what we call Center City, plus 100 acres in the "Liberty Lands" north and south of the City, and 1,000 acres between Philadelphia and the [Delaware] River. This concept was short-lived and too expensive for most early settlers, and the City was quickly subdivided into smaller lots -- frequently developed speculatively (up to a whole block at a time) into narrow and deep lots with street frontage. Penn was English, and his model was most likely the London Townhouse or Terraced House, which were built in great numbers following the Great Fire of 1666.
Who is largely credited for designing it? Contiguous or attached houses have been around since ancient times, but there have been specific significant periods of development around the world in various forms. A set of 12 identical attached houses were built in Pienza during major reconstruction in 1463. In Amsterdam, narrow homes were built side-by-side in the early 1500s. The Georgian and Regency periods in 17th-century England saw the development of elegant townhomes for occasional use by the aristocracy, while dense, repetitive worker housing was built during the industrial revolution in the latter half of the 18th century. How has the design and function of the rowhome changed over the years? In Philadelphia, one can trace the development of rowhouses through major periods of expansion as well as in size -- from modest "bandbox" or trinity houses on narrow alleys with one room per floor, to the wider and taller townhomes for the wealthy along wider streets. One enormous growth period was in the early 1900s with the expansion of the streetcar system; land was less expensive outside of the center and houses were wider and had front porches and gardens. With the introduction of the affordable automobile, rowhouse design evolved with the raising of the first floor from the street level and access to a garage at the grade level behind. Has the city been any good at preserving some of the oldest row homes? Preservation as we know it is a relatively recent phenomenon. Cities grow through constant change and reconstruction. 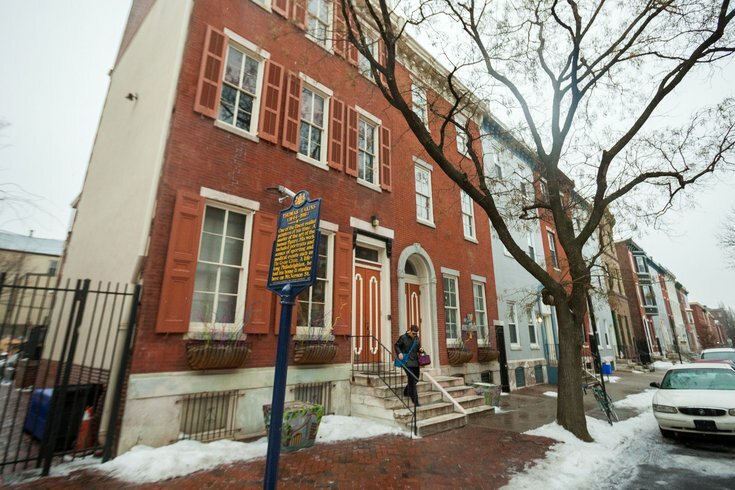 Philadelphia has a great deal of older housing stock, more than any other American city, because the earliest houses were built along the Delaware River and housed workers alongside wealthy business owners. As people accrued wealth and could afford to move to larger or newer houses, or closer to their work, immigrants typically would move in. Often when an area is too old or dense or deemed unsafe or blighted, urban renewal wipes out historic structures. Historic preservation in the U.S. is primarily a 20th-century phenomenon. The Philadelphia Historical Commission was established in 1955 and the Philadelphia Historic Preservation Corporation in 1979. We are currently anticipating the loss of three significant 18th-century rowhouses on Sansom Street at Jeweler's Row to make way for high-rise residential development. 2-story rowhomes on North Bucknell Street in Fairmount. Is there one design among all the variations that you think is most efficient? Rowhouses are inherently energy efficient because of the shared walls. Costs to maintain the houses are also reasonable because of the lack of exposure to weathering. What are the significant differences between the Philly rowhome and a brownstone in other cities? Do I still need third-party virus protection on my computer? How does one clean the Liberty Bell? When did Rittenhouse get its ritzy rep? Brownstones frequently refer to wider and taller homes for the wealthy and were frequently clad in a brown sedimentary stone. These were most often built in the late 19th century. Philadelphia is distinguished by the sheer number of smaller and more affordable houses that were built close to industry to the north and south along the Delaware River. New York outpaced Philadelphia in growth in this era, but had less land and therefore built taller tenements to house more people. Also, historic records tell us that there was a great deal of dense red clay in the Philadelphia region, and bricks were relatively inexpensive and readily available. Looking past how beloved the rowhome tends to be, what are some drawbacks that continue to pose problems in urban planning? While cities have re-emerged as desirable for the current generation, gentrification threatens the stability of some working class neighborhoods. New rowhouse construction is very robust right now, but the houses are frequently much larger than their neighbors, have parking garages accessible from the main streets and are not affordable for most. Beyond the housing itself; communities thrive on having a healthy infrastructure, and at this point, the public schools in particular are the biggest impediment to supporting a diverse community. Anything to add? What's the big innovation in Philly rowhome construction lately? The Philadelphia rowhouse continues to be an extremely efficient and affordable housing option, and we are fortunate to have so much original "fabric" in-tact. Older homes were frequently built more substantially than what is being built today; materials were more durable, labor was cheaper. It is still possible in the 21st century for young people to own and maintain a home, and for long-term residents to stay in their family homes. 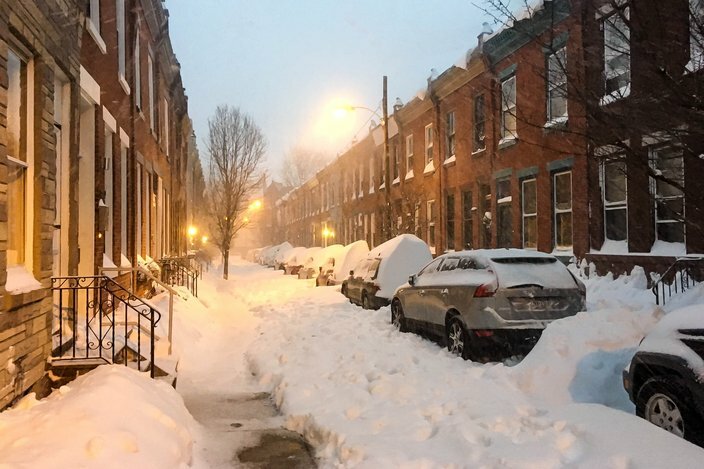 The most exciting development is the establishment of the Healthy Rowhouse Project, which seeks to renovate 5,000 rowhomes in Philadelphia in the near future to help keep families in their homes and thereby preserve communities.